We’re only a short way into 2013, so it will sound incredibly glib if I say that these exquisite paper dresses are the most original thing I’ve seen all year. In fact, they are the most original wall decoration I’ve seen in years! 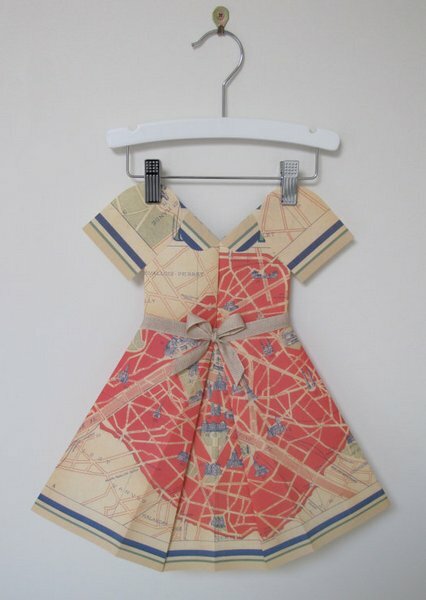 Created by an Australian artist, Marcelle Crosby, each dress is carefully folded from paper printed with florals, vintage images and maps to remind you of places visited (or that you would like to visit). 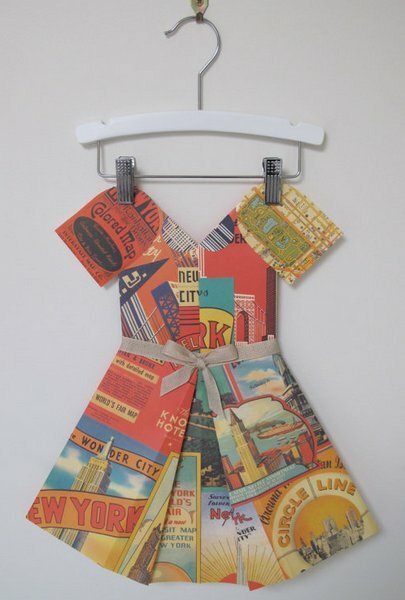 Perfect for the nursery wall or your girl’s room, they would be equally at home on the grown-up’s walls. I quite fancy a vintage map of New York for my study. Marcelle’s folded paper dresses are available at a number of interiors boutiques around Australia or via Marcelle Crosby’s Etsy store. 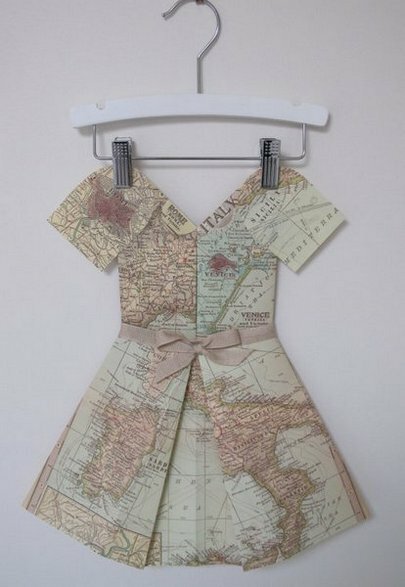 The dresses are $70 each and Marcelle is happy to make custom orders for people looking for a particular map or design. Thanks to Babyology reader, Sam, for sharing this gorgeous find.